We (the Social and Digital Innovation team) advocate for physicians to be on social media. During a consult with a physician, we will discuss options such as having a Twitter account, LinkedIn account, claiming his or her Doximity profile (if a physician) and participating in a YouTube video. All of this is done to help his or her online reputation management. But there is yet another platform to consider looking into - Google Scholar. Google auto-indexes peer-reviewed publications, conference papers, abstracts and more. It is estimated that the Google Scholar database contains about 389 million documents. Authors can sign up for a free profile to help track citations of their articles. Once you confirm the spelling of your name, you will be able to confirm articles that Google has found with a similar name. If you don't see all of your articles, you can "search articles" for additional articles to add one at a time. The final step of creating a profile is adding a profile picture, verify the account and make the account public or private. 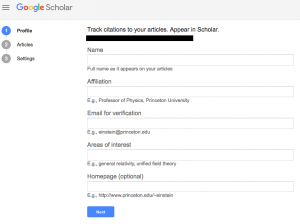 Google has a how-to that walks through in detail how to set up a Google Scholar Author account. This is one more way for researchers to promote themselves professionally. Have you heard of any other new platforms for professional promotion? @Margaret_Marie Do you do consults with all new physicians, or is that by department/doctor request? 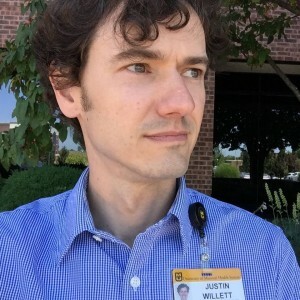 I'm exploring ways to educate new physicians about how my team can help in online reputation management and what each physician can do to raise reputation and align with best practices. Hi, Justin! Currently, it is by department/doctor request. We have developed a training for Nursing Leadership about social media use and are exploring creating a similar training for physicians. I read this post about Google Scholar with mixed personal and professional feelings. 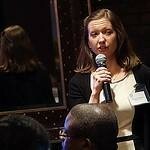 I'm a consumer health informatics researcher at the University of Wisconsin-Madison and teach my students, drawn from across the university, about health information resources online, as well as health-related social media as both a patient advocacy strategy and a health information strategy. I've also been a Mayo patient. Because I'm a former medical librarian in academic and corporate settings, a good deal of my teaching as well as research centers on online searching for high-quality evidence-based material. I routinely teach my undergraduate and graduate students inside and outside of healthcare professions about Google Scholar. For this reason I was very surprised to see Google Scholar mis-characterized as "auto-index[ing] nearly all peer-reviewed publications." This is not correct. In fact, we have no idea *what* Google Scholar indexes because Google has not released its list of "content partners" since the product was in beta in 2004. For the first 6 months of its existence, by Google's own admission, there were no Elsevier journals indexed by Scholar at all. It was fairly routine in those early days for Scholar to capture PowerPoint presentations from middle-school science classes and characterize them as "academic". While the quality of the results has improved greatly since those days, it is still impossible to know if any or all journals in a particular subfield of medicine have been indexed completely or at all. In addition, there is no quality control for this entirely free product, which means the buyer must considerably beware; a recent study I presented at the Medical Library Association revealed that in a sample of over 1200 potentially predatory journals in the health sciences, Google Scholar indexed 67%. There are definitely reasons to use Google Scholar; I use it myself in tandem with its high-quality competitor, Web of Science, because searching both products increases the scope of my research. However, it is still necessary to inspect the results carefully to ensure that low-quality, non-peer-reviewed material has not been included in my literature review. I would encourage physicians to consult with your medical librarians on staff to find out more about how to use Scholar and other Google products productively — as well as when NOT to use them. Medical librarians are the experts in this domain. Thank you for sharing your thoughts and insights, Catherine.